Despite work being done on the house, weaving continues. 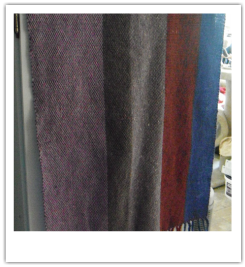 Love these Harrisville Highland colours! Warp is (L to R) Lilac, Grey, Suede, Russett, Cobalt. Weft is Violet.